The Criminal Investigations Department (CID) has commenced investigations into the murder of Ahmed Hussein-Suale, a member of Anas Aremeyaw Anas’ Tiger Eye PI. The journalist, Ahmed Hussein-Suale, was reportedly killed by two gunmen on a motorbike who shot into the car he was driving at Madina in Accra. The Police Service in a statement also asked Ghanaians to volunteer information that will help in apprehending the suspects. Anas, in a message on Facebook, announced the death of his colleague, saying Ahmed was shot three times; twice in the chest and once in the neck following which he died on the spot. 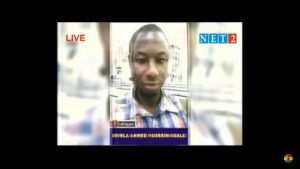 In the video, he sought to link comments made by Assin Central MP Kennedy Agyapong some months ago to the murder. Ahmed was a key member of the team that uncovered corruption in Ghana football in July 2018. He is reported to have been at the forefront of the meeting with the disgraced GFA President, Kwesi Nyantakyi, who was the biggest casualty of the exposé. He has also cooperated with the BBC on a number of stories including a perilous investigation into ritual murders in Malawi. President Nana Akufo-Addo has also condemned the killing and said he expects the Police to bring the perpetrators to book. “I’ve learnt with sadness of the killing of Ahmed Hussein-Suale, an associate of an investigative journalist, Anas Aremeyaw Anas. I condemn the act unreservedly and extend my condolences to his family. I expect the police to bring to book, as soon as possible, the perpetrators of this heinous crime. Once again, my heartfelt condolences,” said the President. Attention has turned to Assin Central MP, Kennedy Agyapong in the wake of the killing because the controversial legislator circulated photos of Ahmed and called on persons in Madina to beat up the investigator if he visited his company premises. Kennedy Agyapong has however insisted that he has nothing to do with the journalist’s death .